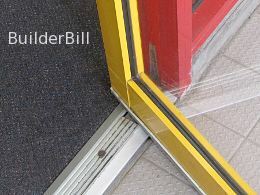 A hinge that works on simple pivots that are offset either from the face of the door or offset from the edge of the door. The term "pivot' means to turn on axis, that is around a centre line. So when a ballerina spins on a toe she can be said to be pivoting, with her toe and the floor as the bottom pivot point and if she has a partner then his steadying hand on a raised finger may be the top pivot point. If we stick to this strict definition then all the hinges that we use in the building industry can be said to be pivots. But the general term seems to apply only to the type of hinges, almost always at the top and bottom of a door that can be offset into the width of the door or away from the face of the door. 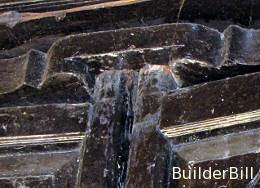 It is said that the Ancient Egyptians and the Greeks had stone doors to their temple buildings. From records we know that they used pivots. The used them for two outstanding reasons. Simplicity. With the technology at the time this was an easy way to do the job. Load Bearing. 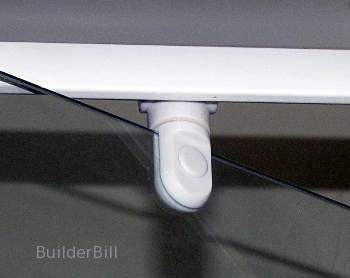 Because the bottom point can be placed on the ground then they can support far more weight than other types of hinge. At the right is the inside of a temple doorway in Que Ngon in central Vietnam. The temple was built around a thousand years ago by people of the Champa civilisation. 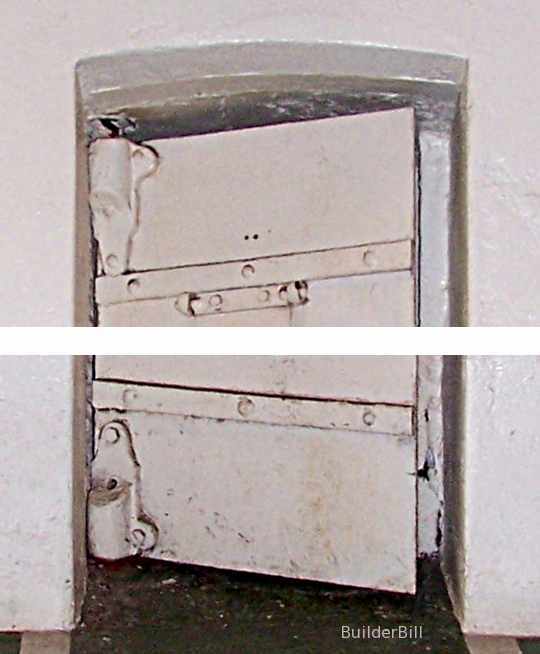 The door is long gone, but the socket holes for the hinges are still to be seen. Still in Vietnam, on the delta in Sa Dec. 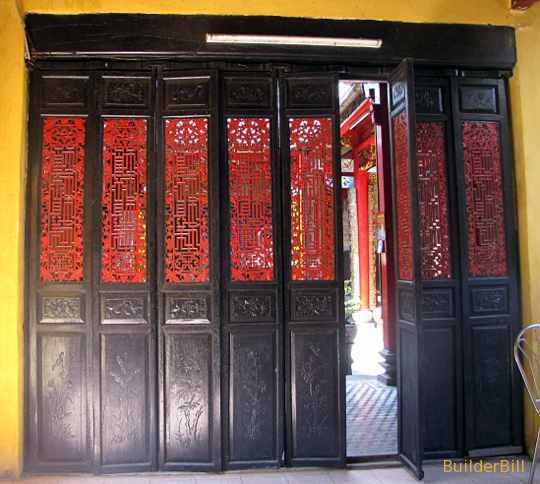 Here are some wooden temple doors forming a screen. I show them here to follow on from the point of simplicity. Here we have a wide opening that can be closed like a wall and secured, or opened up almost fully to allow entry of people and cooling breezes. A handful of tradesmen would have done the whole job. Woodcutter/sawyers and a Joiner,without outside assistance. There are no metal parts in any of the construction. The pivots consist of extensions to the door stiles and holes. The locking mechanisms are wooden crossbars. Compare this to the huge resources of the iron and steel and the aluminium mining and smelting industries to start with that we need to build a few bi-fold doors these days. 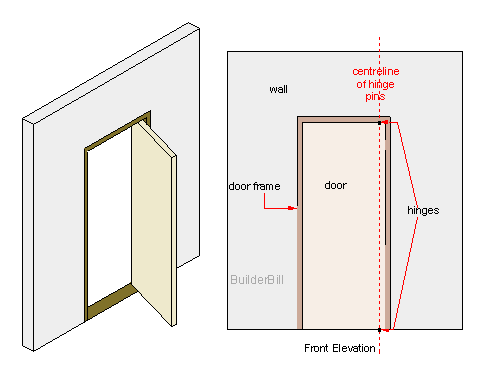 Both of the shots above illustrate the point that the centreline of the pivot can be moved toward the centre of the width of the door. These pivots are on a very heavy plate steel cell door. They are face fixed and so the the centre line of rotation is outside the door altogether. By about 60mm I guess.